You'll stun the winter masses in the athleisure-inspired Fashion Jacket for women. Its stylish oversized profile is made with performance technology for a look you can throw on post-workout and take to the streets. 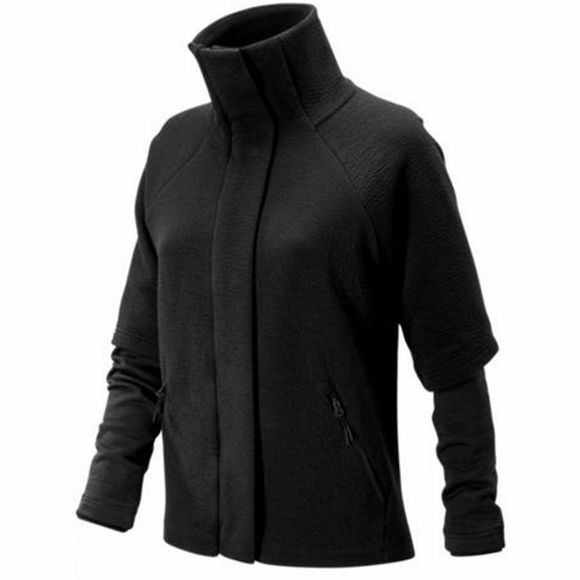 NB Heat fabric at the sleeves and neck offer the ultimate in warmth, stretch and quick-dry comfort, while hidden thumbholes work to keep your wrists cozy. 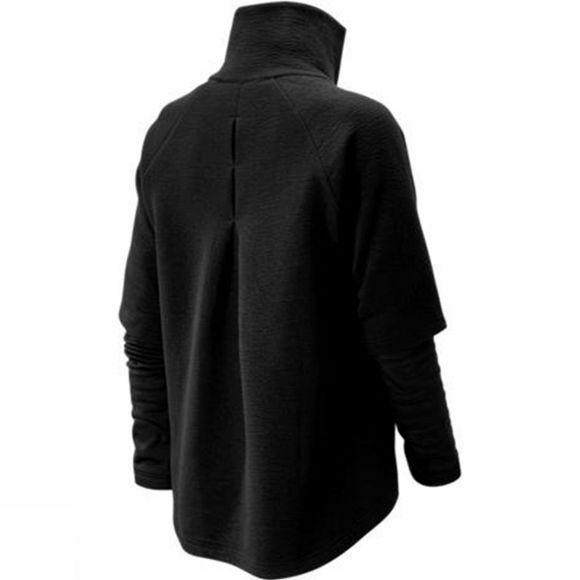 Plus, a high-low hem, asymmetrical cowl neck, and pleated back detail mean you'll look good both coming and going.